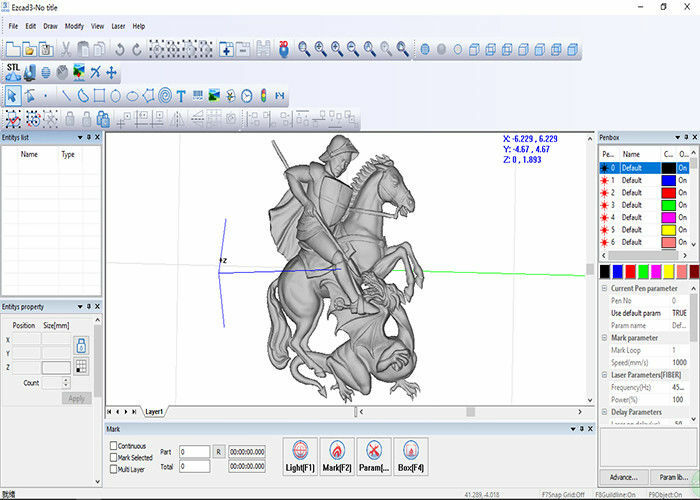 Quickly grasp the 3D device debugging, processing 3D files. Load 3D model, the Z axis direction of the translation, the value can be positive and negative, to achieve the various directions of translation. Set the motion space of the Z axis and change the number of layers through the thickness through the layer number to achieve the adjustment of the depth of processing,Set the direction of motion of the Z axis,can be layered to the two dimensional object marking.